Blog | Is There a Link Between Back Pain and Neuropathy? 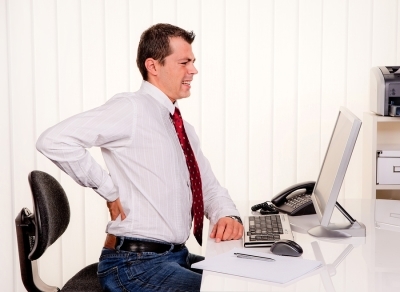 Home / Blog » Is There a Link Between Back Pain and Neuropathy? Neuropathy is defined as nerve damage. Your central nervous system (CNS) consists of your brain and spinal cord. The spinal cord extends down the spinal canal, which is housed in the spine. From the spine, nerves branch out into the arms, legs, and all other areas of the body. These comprise the peripheral nervous system. The peripheral nervous system is made up of nerves that tell the CNS what you’re feeling, such as feelings of pain, touch, cold, and heat. These nerves are the sensory somatic nervous system. This system also includes the motor nerves, which handle signals pertaining to movement. You also have an autonomic nervous system, which manages involuntary functions like your body temperature and digestion. Some of the same problems that can cause your back pain may also cause the symptoms of neuropathy. For example, a herniated disc in your spine may cause cervical or lumbar back pain. The herniated portion of the disc may also impinge upon the nerves that are nearby. This can cause pain, numbness, weakness, and tingling to radiate down your limbs. Spinal stenosis is another possible cause of back pain and neuropathic pain; it involves the narrowing of the spinal canal and compression of the spinal cord. Occasionally, nerve damage is the result of a complication of back surgery. Generally, if a problem of the spine affects the cervical region, neuropathic symptoms can extend down the arms. If the problem is located in the lumbar region, the neuropathic symptoms can travel through the buttocks and down the legs.